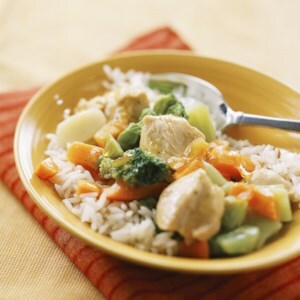 Find healthy, delicious low-fat chicken recipes, from the food and nutrition experts at EatingWell. 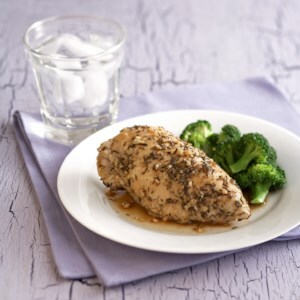 The chicken in this low-calorie dinner is brushed with lemon juice and sprinkled with a garlic, jerk and thyme seasoning mixture. You can save time by substituting 4 teaspoons of bottled minced garlic for the cloves in the rub. 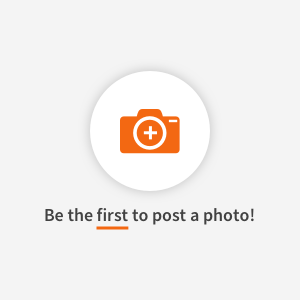 The recipe calls for an indoor electric grill but we also show instructions for broiling and outside grilling. 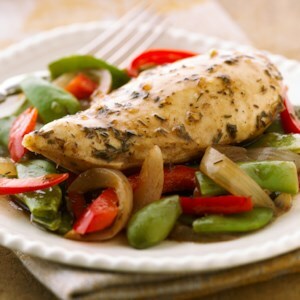 This easy slow-cooker dish features chicken, green beans and sweet pepper strips cooked with herbs and balsamic vinegar. Adding a touch of tapioca to the pot results in a slightly thicker sauce that is served with the finished meal. 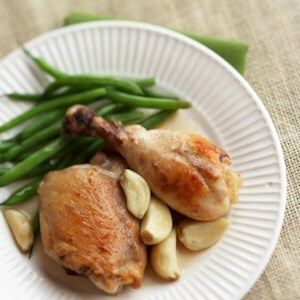 It's hard to believe this chicken recipe uses a whopping 25 cloves of garlic, but cooking garlic within the clove's casing imparts only a mild garlic flavor to foods cooked with it. 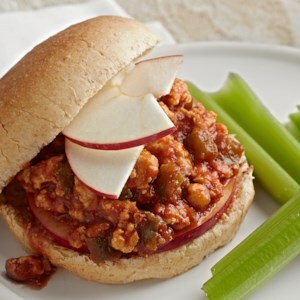 A sloppy joe is typically made with ground beef and a spicy tomato sauce, but not this one! 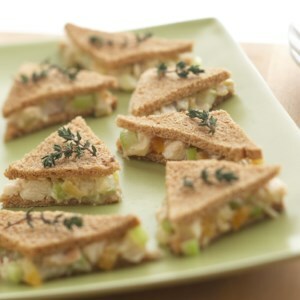 This makeover sandwich combines lean ground chicken breast with green peppers, and is topped with sweet apple slices. 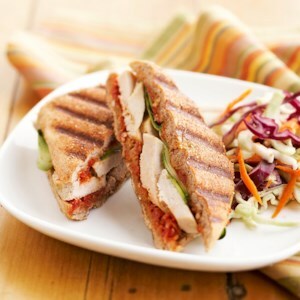 Another time, use the subtly seasoned Dried Tomato-Pepper Spread to spiff up a cold turkey sandwich. 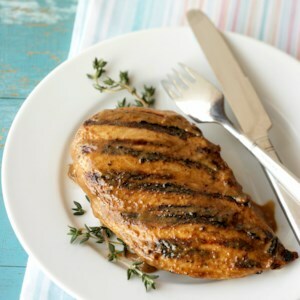 Thyme, garlic, a little orange juice, and a splash of balsamic vinegar flavor these moist, fork-tender chicken breasts. 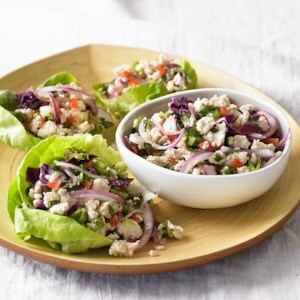 If you want to make your own chicken salad for the recipe, pick up a package of refrigerated or frozen chopped cooked chicken at the supermarket. Why order takeout when you can make your own orange chicken? It take only 15 minutes to prepare and then your slow cooker does the rest of the work. 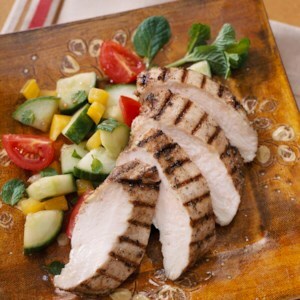 Here's a low calorie Tex-Mex one-dish recipe. 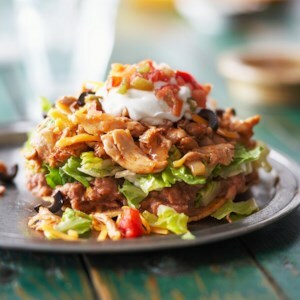 It has chicken, beans, salad and a tortilla all stacked up on one plate. 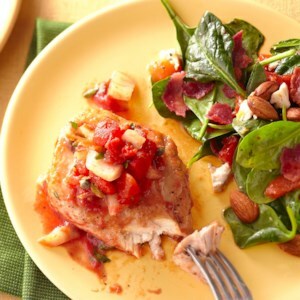 Fresh fennel is the tasty addition to lean chicken breasts served with a light tomato sauce and capers. It's nice for the family and special enough for entertaining. 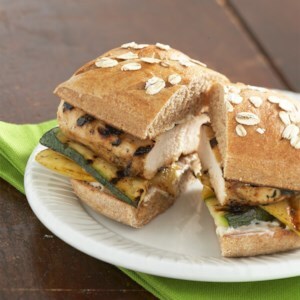 Spread whole wheat buns with lime dressing and then top with grilled chicken and zucchini to make these main-dish sandwiches. Cook your whole meal in a packet on the grill with this easy veggie-loaded recipe. 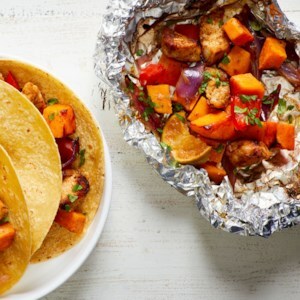 The Mexican-inspired seasoning makes the chicken and veggies taste great served with warm tortillas and your favorite taco toppings for a healthy dinner. To snip cilantro or any fresh herb in a flash, put the leaves in a glass measuring cup and use kitchen shears to snip them into tiny pieces. 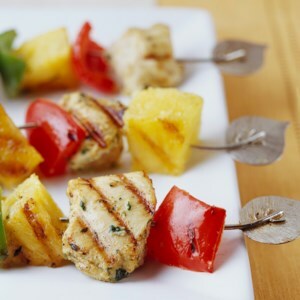 If you like fiery foods, give these low-carb, low-fat grilled chicken skewers a kick by making them with medium or hot salsa. 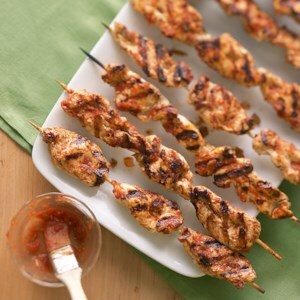 Experiment with various flavored mustards to add a different spin to this simple marinade recipe. It's low in fat and carbs because it's oil- and sugar-free. 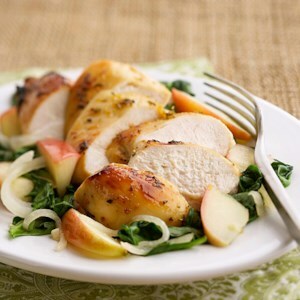 A drizzling of lemon scented apple jelly glazes the chicken during broiling and lightly sweetens the braised spinach in this recipe. Busy week coming up? 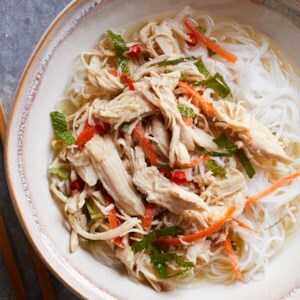 Cook up these easy poached chicken breasts infused with the flavors of the ubiquitous Vietnamese sauce nuoc cham in your slow cooker on Sunday. Then enjoy the leftover chicken three different ways over the days to come--ladled with the broth over rice noodles, layered with vegetables on a sandwich and mixed with mayo to make a creamy chicken salad. 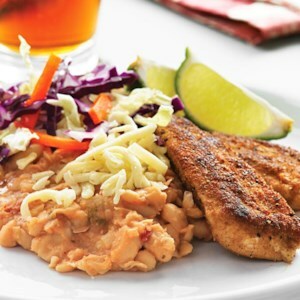 Kids love this combination of refried white beans and chicken tenders. If you're concerned about making it too spicy, omit the jalapeno. Serve with extra cheese to sprinkle on top.